This year was my first attempt at a real garden. I started multiple herbs from seed, as well as tomatoes, peppers, and strawberries from starter plants. It’s been a very fruitful (ha) hobby that’s gotten me outside and learning. 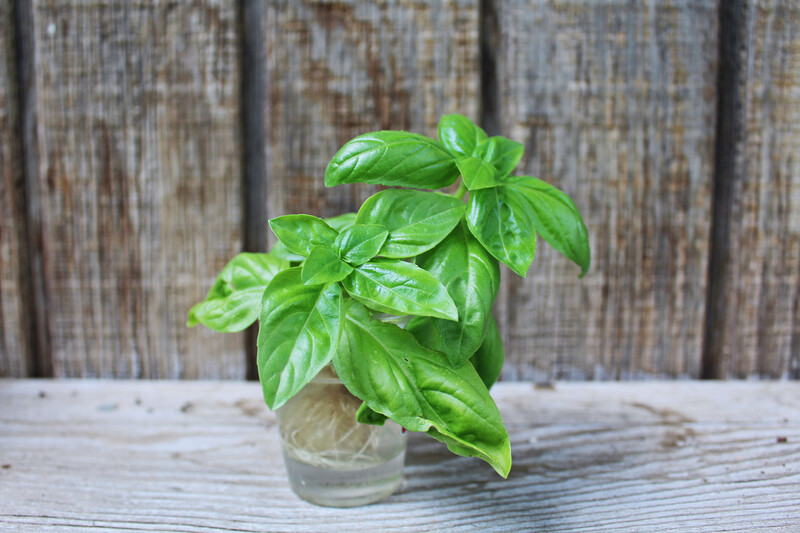 Although I love caring for every plant in my garden, I think my basil bush is my favorite. Having fresh herbs to pluck right off the stem and throw in a dish has added so much life to my food, I don’t want to give that up in the winter. As I said, my basil is a literal bush and would not fit in my apartment windows (even if it did my cats would be sure to knock it out of the way). To start, you’ll need to find a stem with at least two nodes, or sets of two leaves, like in the picture above. Pick a more mature stem if you can, with multiple nodes you can snip off top. Next, put the cuttings in water for about two weeks in sunlight to allow roots to form. I kept mine in a shot glass on my windowsill and it worked perfectly. You can also use a shallow bowl or cup, but be sure to pluck the lower leaves if they begin to rot. Change the water as it gets cloudy. After a root system has begun to form, you can then plant the cutting in a starter pot. A few of my cuttings’ roots were tangled so I planted these two together. 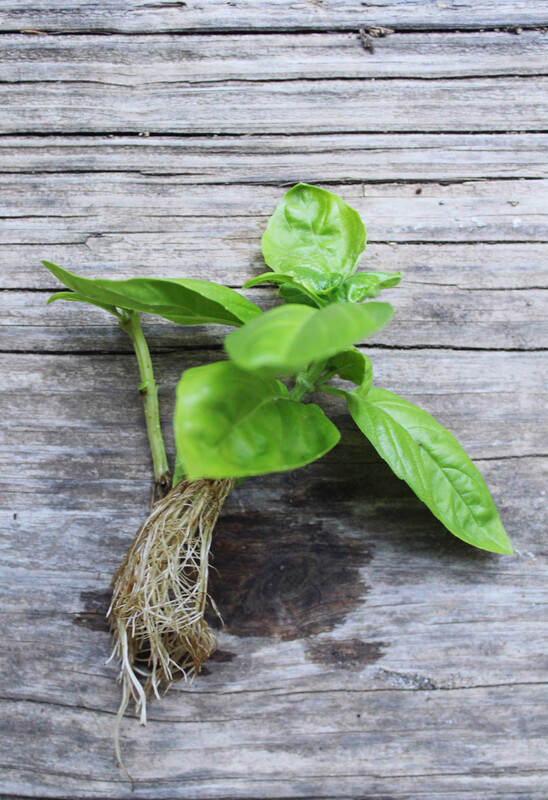 Here’s a look at a baby basil plant I started from a cutting, about four weeks in soil. It’s growing new leaves and getting taller! Thanks for reading my generic gardening post!